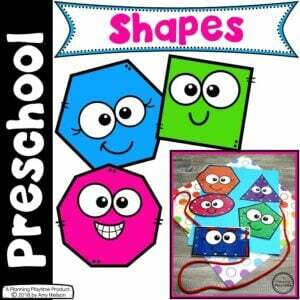 Are you teaching 2D Shapes to preschoolers or young children? 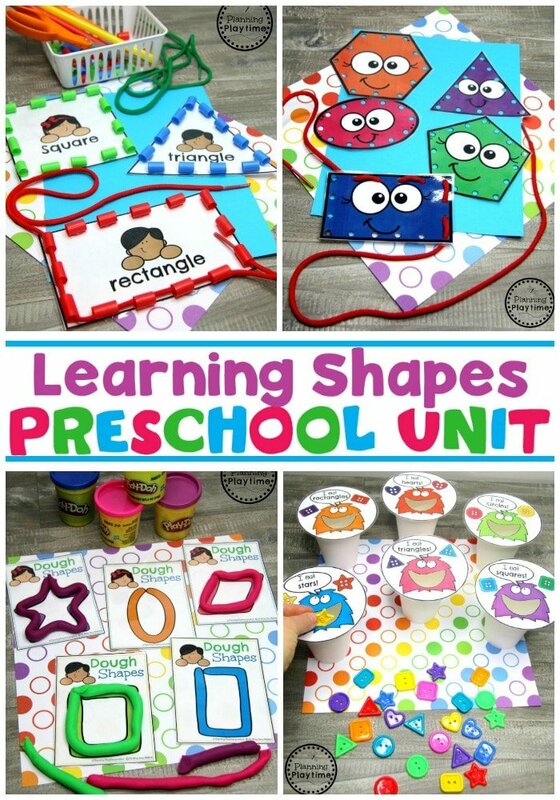 This uni is packed with fun, hands-on 2D shapes activities and centers as well as no-prep worksheets when you need something fast. 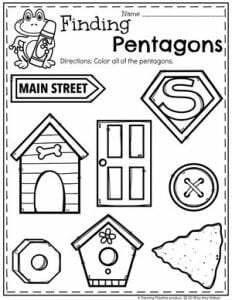 Kids will get to work on 2D shape formation, shape tracing, shape recognition, and finding shapes in real life objects. 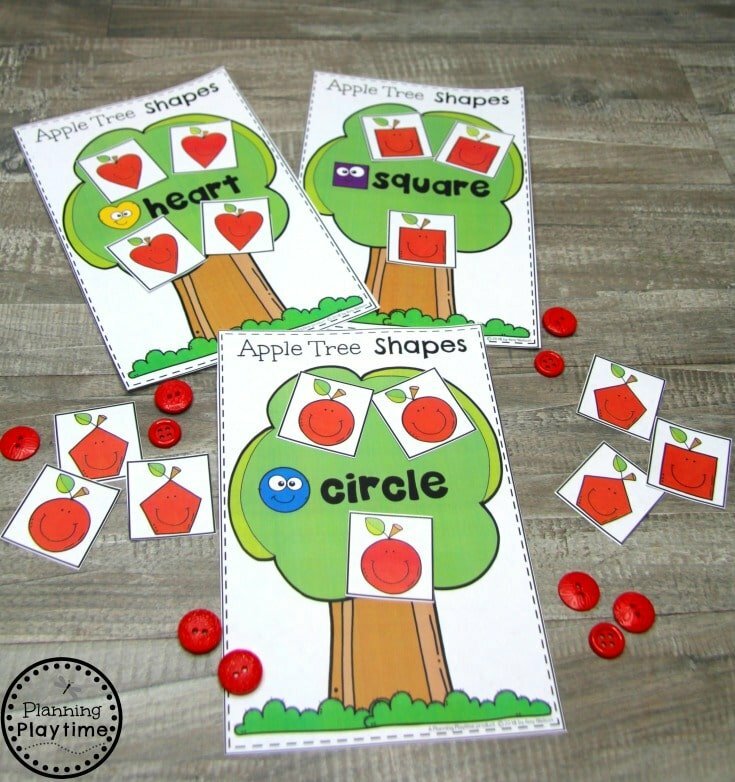 We love combining skills in our activities, children get to build fine motor skills and coordination while pulling a shoe lace through the holes in these shapes cards. 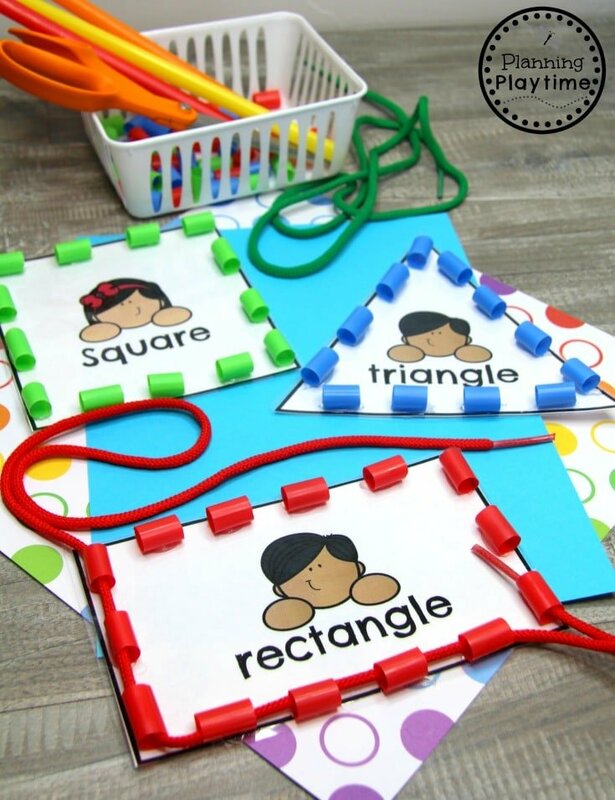 Drinking straws turn these simple shape cards into a fantastic fine motor activity. 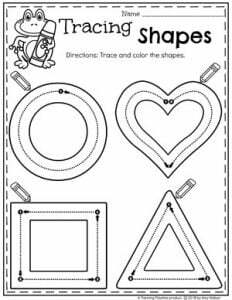 The kids get to practice forming the shape while working their coordination and little fingers. 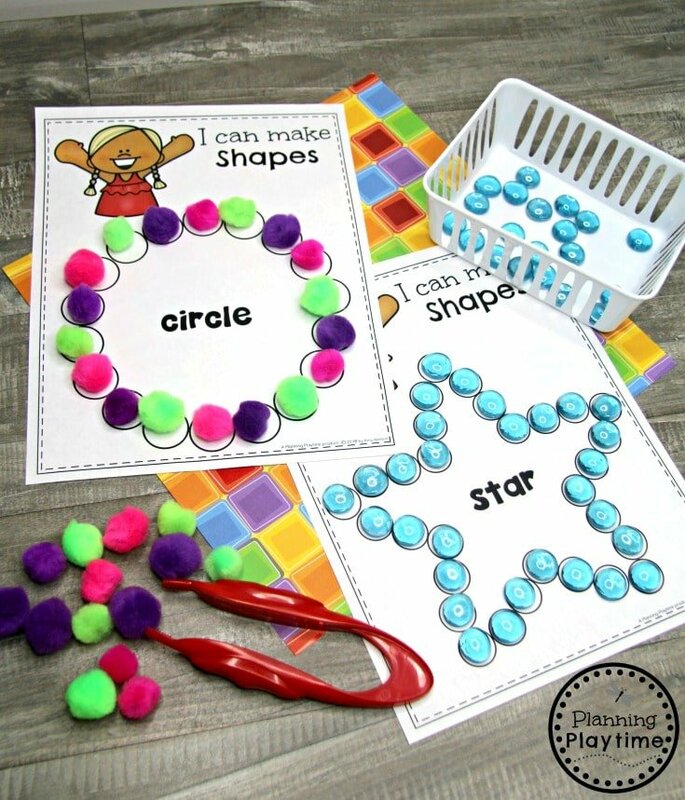 Beads with Large Center Holes. 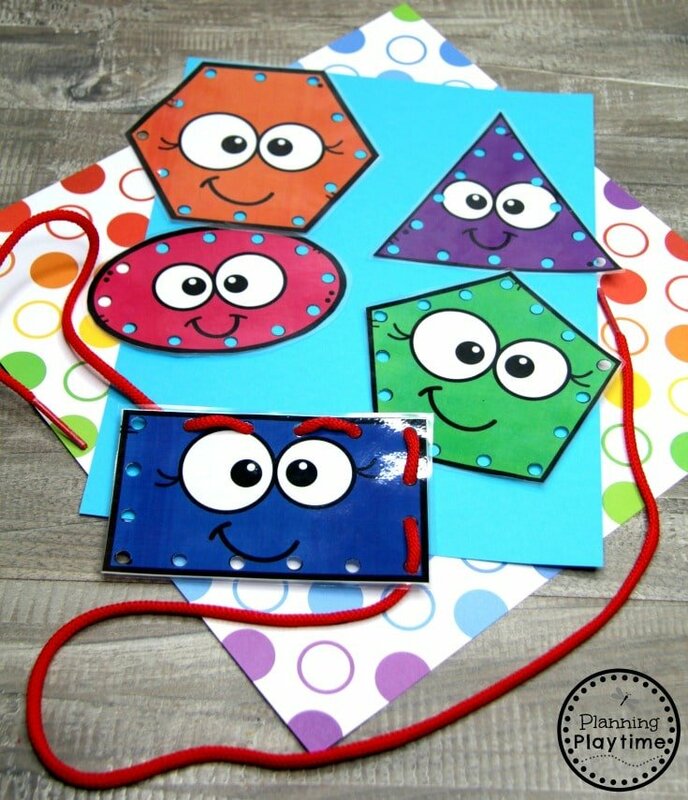 These Shapes Monsters are so easy to make. 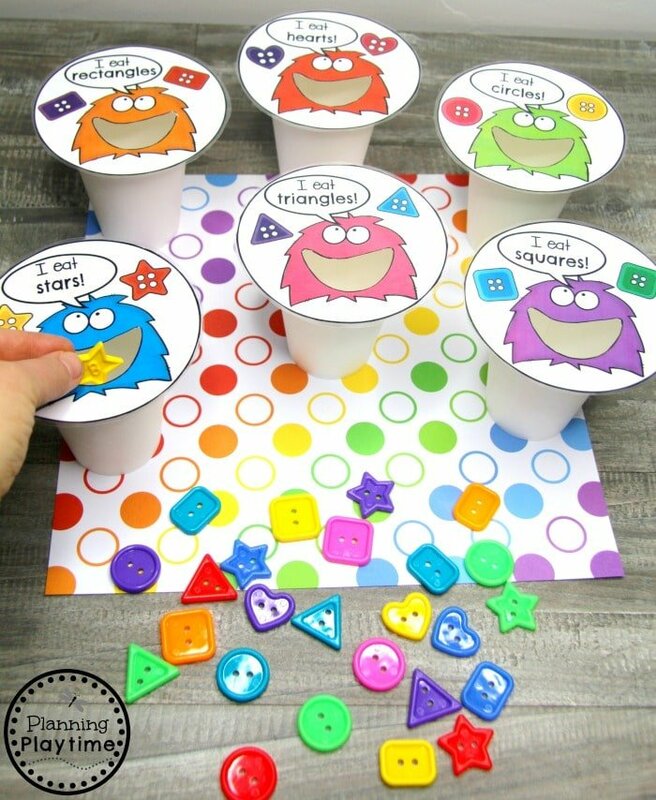 Just place the laminated monster mouths on top of a paper cup. 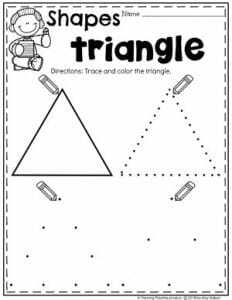 Then kids can sort buttons or foam shapes to feed thier triangle, circle and other shape monsters. 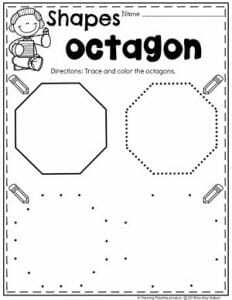 This is another fun way to practice shape formation. 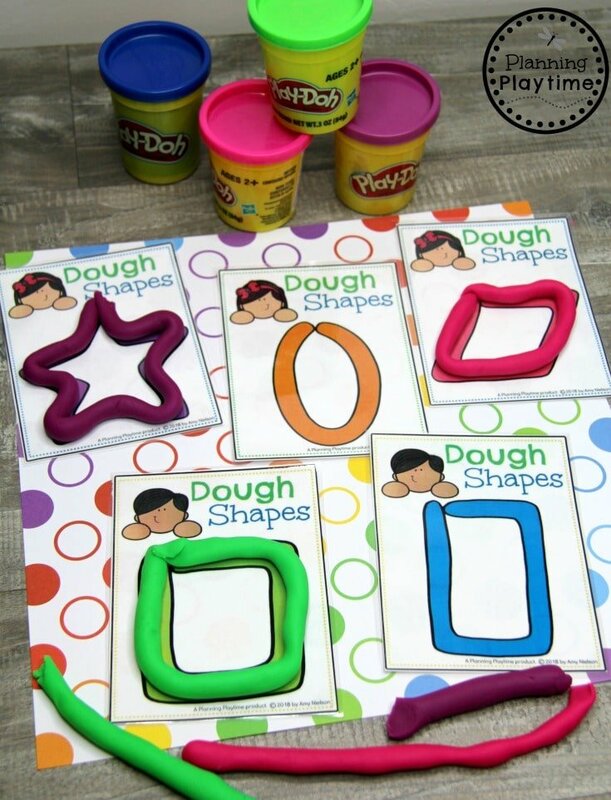 Children get the sensory fun of rolling out playdough into long snakes. 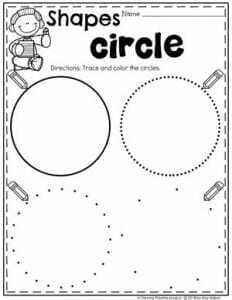 Then they can follow the pattern on the card to make their shape. 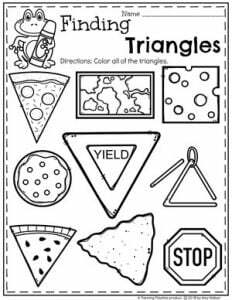 Learning to recognize shapes in real life is an important early math skill. 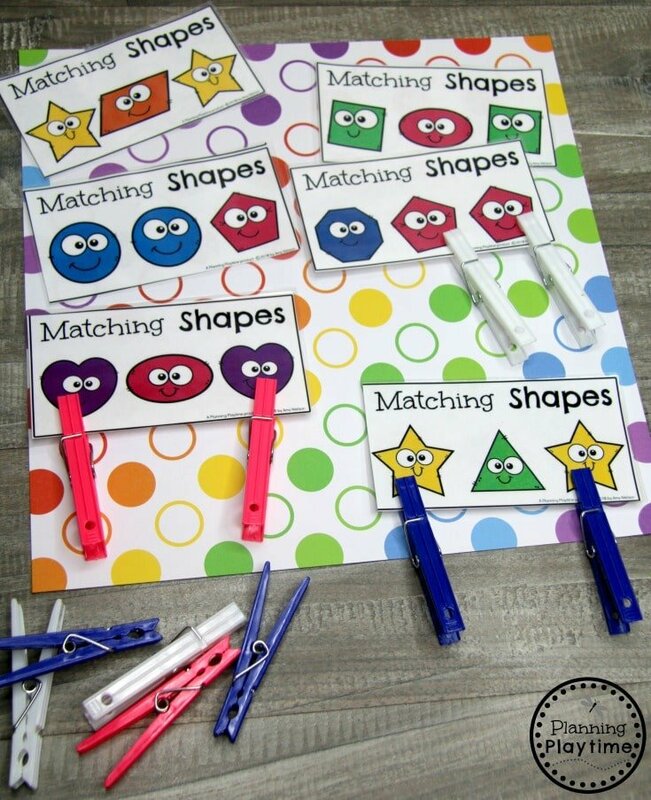 These clip cards allow children to find those shapes and work on grip strength as they clip those pictures. 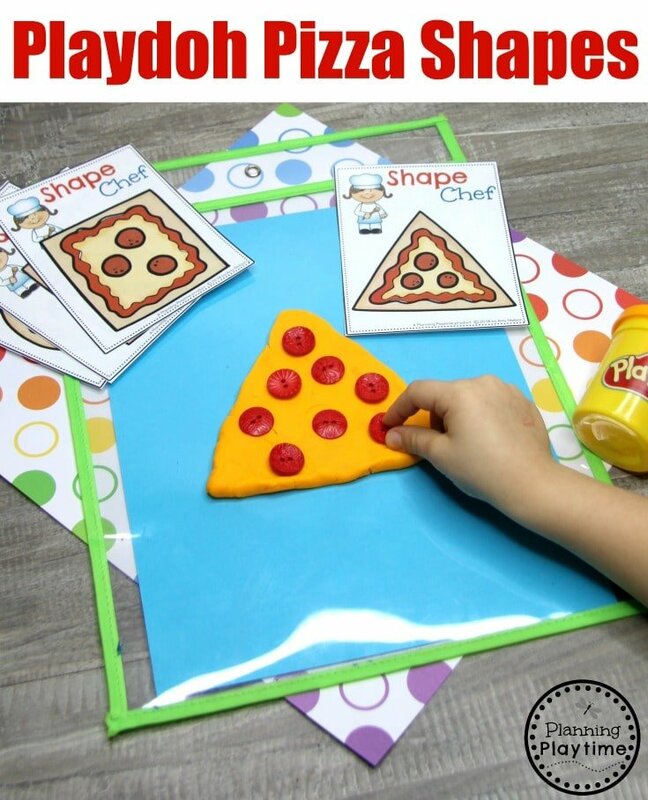 Making pizza is so fun, and for this game the kids can roll out or form their pizza dough into shapes like triangles, squares, and rectangles. 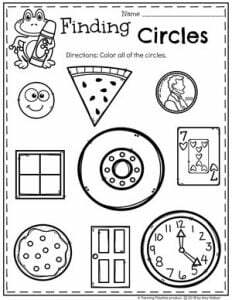 We added red buttons to ours for our pepperoni toppings. 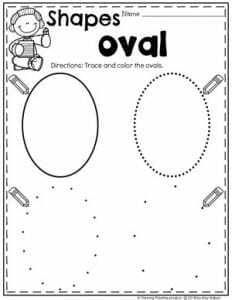 You can fill in the circles to outline these shapes with flat marbles, pom poms or for extra fun, use dot markers. 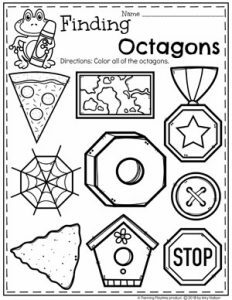 Can you recognize which shapes look the same? Work on grip strength as you clip them. 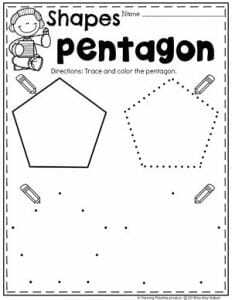 How many sides are in each shape? 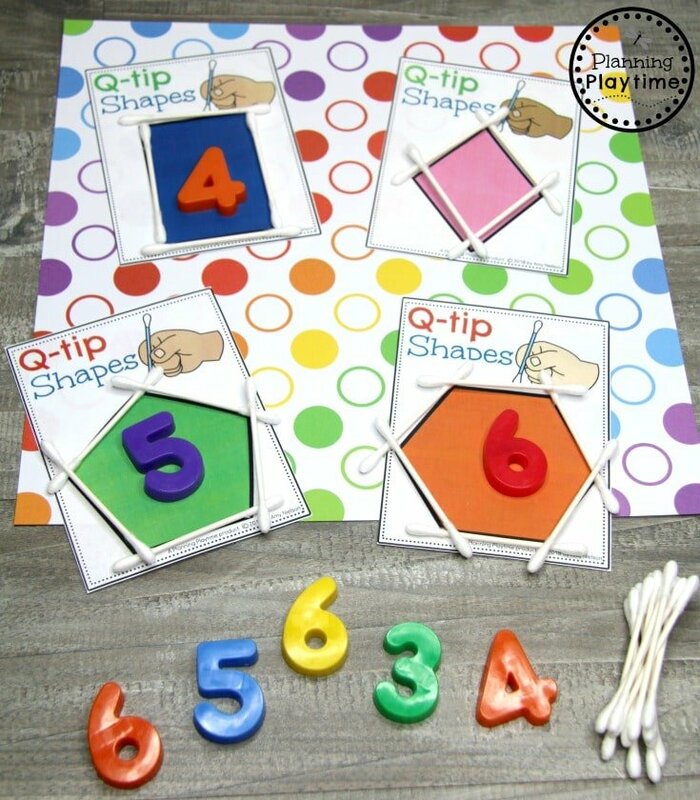 Count the sides and build the shapes using q-tips. 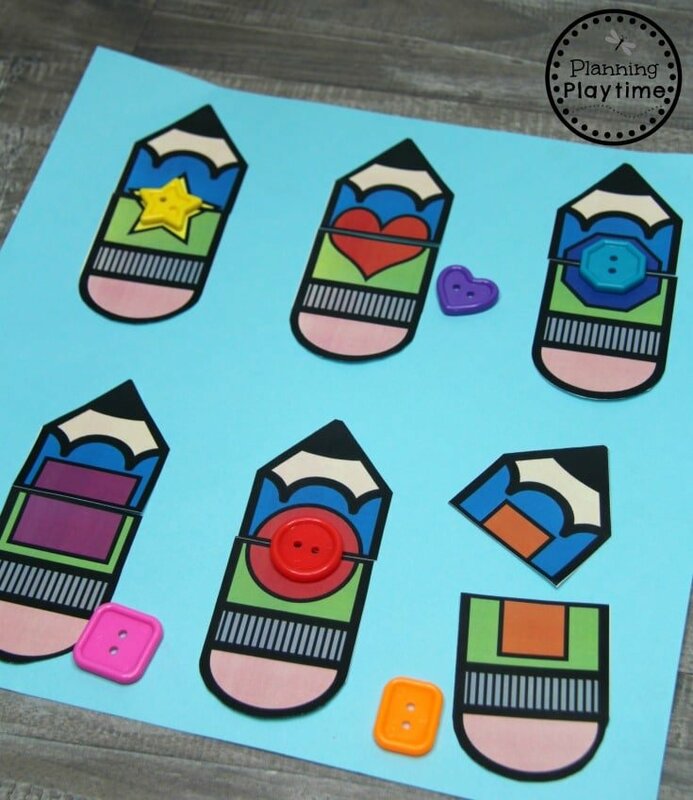 You could also use craft sticks for this activity. 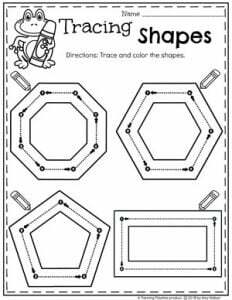 We turned these tracing cards into a shapes book using a ring, but you can keep the cards seperate as well. 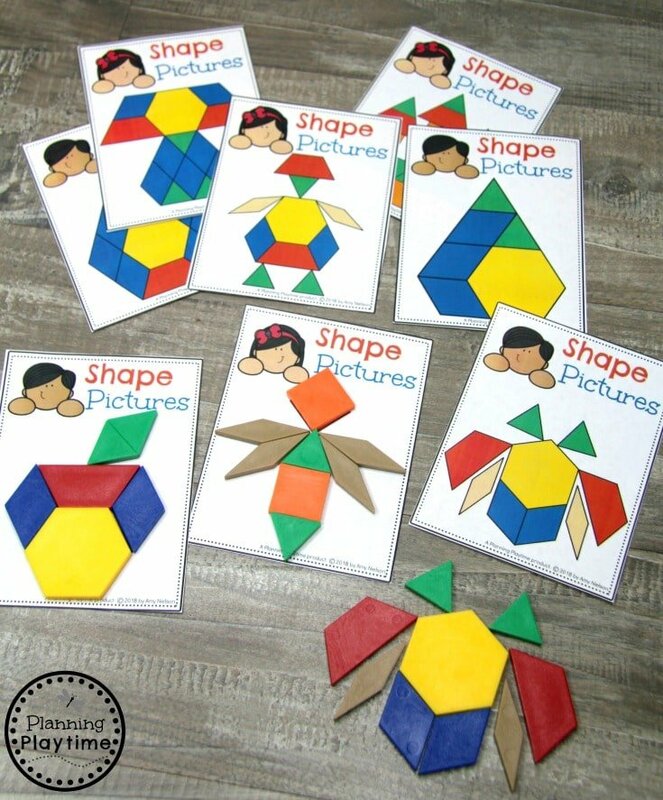 Another critical early math skill is learning to create shapes and pictures from other shapes. 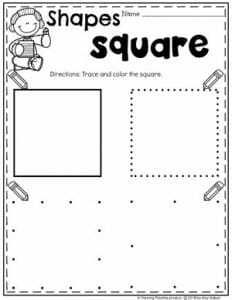 Here the kids can work on following the patterns to build their shape pictures or experiment on making their own designs. 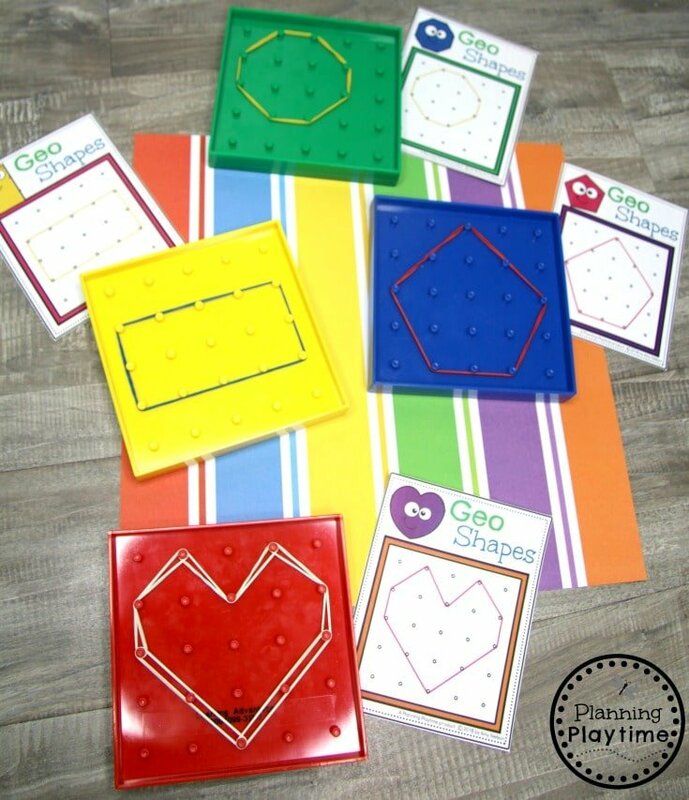 We love our geoboards for fine motor skills. 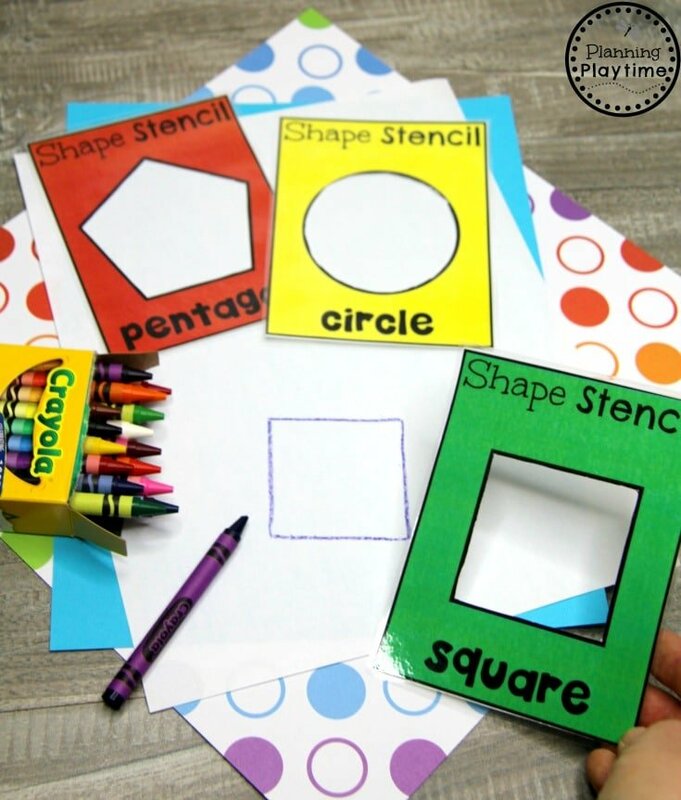 Here the kids can practice forming shapes with their boards. 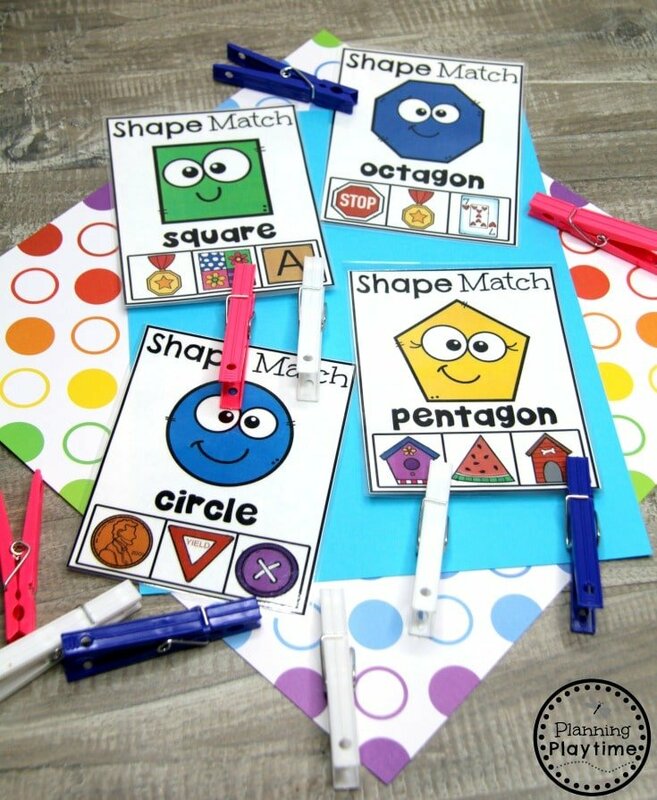 The pattern cards give a bit of extra help while designing the shapes. 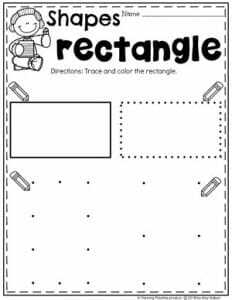 If you loved the Shapes activities above, you’ll also these worksheets. 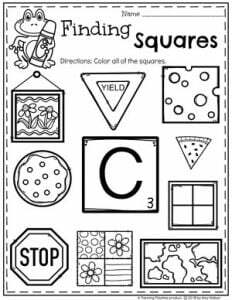 These are all no prep, ready to print and go. 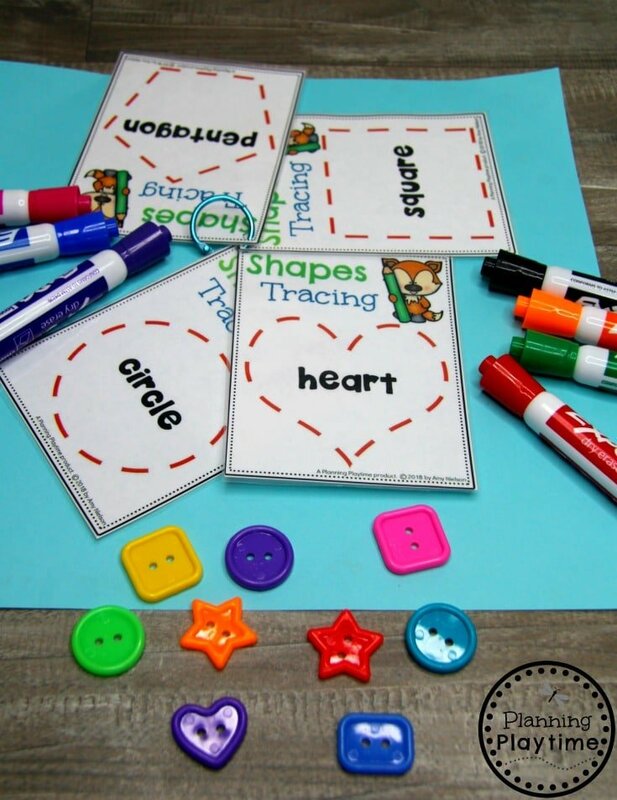 They are designed to be engaging and fun for young kids, as they work on recognizing, forming and tracing shapes. 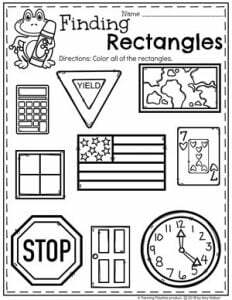 Here’s a quick look at some of the worksheets in this set. 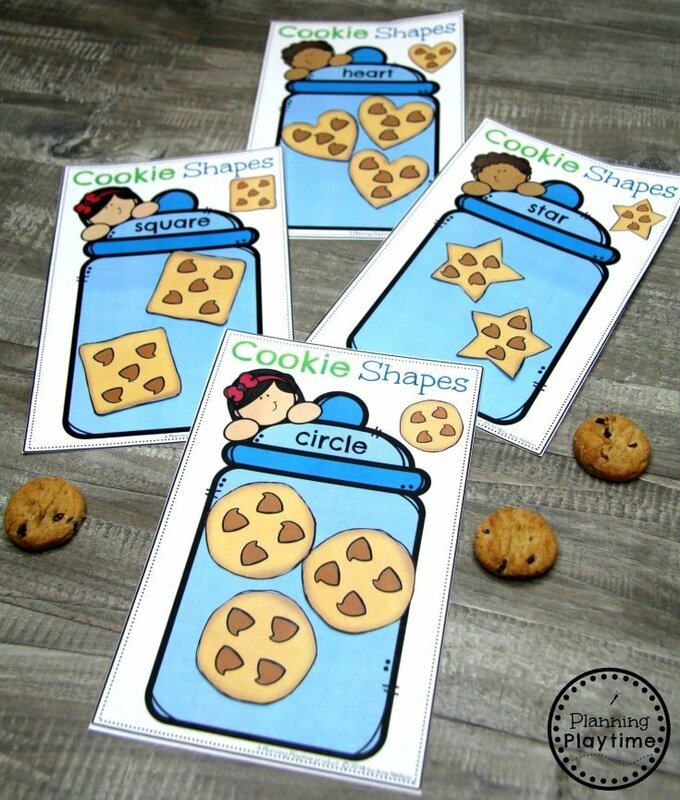 We hope you loved these preschool cooking theme activities as much as we do. You can find them to purchase below.